A team of archaeologists and scientists from the Jamestown Rediscovery Foundation at Historic Jamestowne and the Smithsonian’s National Museum of Natural History has identified the remains of four men buried in a church discovered recently at Jamestown dating to 1608. This church is also where Pocahontas married John Rolfe. The identification of the men – The Rev. Robert Hunt, Captain Gabriel Archer, Sir Ferdinando Wainman, and Captain William West – reveals new information about the leaders of Jamestown, Virginia, the first permanent and successful English colony in America, and sheds new light on the role of religion in the colony. · The Reverend Robert Hunt was the first Anglican (Church of England) minister at Jamestown. He arrived with the first settlers and was responsible for providing religious services to the men as well as for preaching to local Indian peoples. · Captain Gabriel Archer, a vociferous critic and rival of Captain John Smith, was one of the most important of the early leaders, involved in much of the in-fighting that characterized the colony’s first few years. Resting on top of Archer’s coffin, the team discovered a small, silver box, which was found to contain shards of bone and a tiny lead ampulla that would have held holy water, oil, or even blood. The presence of the reliquary, a sacred object normally (but not exclusively) associated with Catholicism may suggest Archer was a secret Catholic. Alternatively, it is possible the object had significant meaning in the founding of the established church, the Church of England, in the New World. · Sir Ferdinando Wainman was a kinsman of the governor, Lord De La Warr, and a high ranking officer who was appointed master of ordnance (artillery) and placed in charge of the colony’s horse troops. · Captain William West was also a relative of Lord De La Warr and was killed in fighting against elite Indian warriors in the fall or winter 1610. Archaeologists investigated the four burials in November 2013, and then joined with Smithsonian forensic anthropologist Douglas Owsley and his colleagues to determine the identities of the men. The research has been ongoing since. Adopting multiple lines of evidence, including forensic analyses of the remains, rigorous examination of artifacts found in the graves, sophisticated CT scans, 3D-technology, and archival research, the names of four leaders were singled out from several dozen high status men who were present in the colony from 1608 through 1617 when the church fell into disrepair. 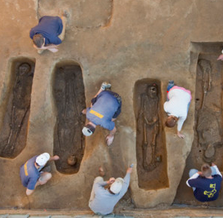 Historic Jamestowne, the archaeology site where these discoveries were made, is open to the public and provides visitors with chances to talk to the archeologists who were part of this remarkable discovery and to learn more about the earliest days at Jamestown. The Smithsonian’s 3D Digitization Program Office in collaboration with Jamestown Rediscovery archaeologists conducted detailed scans of the burial sites. Users can download or interact with 3-D models of the chancel burial ground, the four graves and Archer’s silver box, look at a vast collection of high-resolution field photos and videos or take 360-degree tours of the site. This information is available on Jamestown Rediscovery’s site www.historicjamestowne.org. Future research will involve genetic testing to learn more about the identities of the four men and to better understand the familial relationship between Wainman and West. Further work is also underway to discover additional information about the men’s English backgrounds and experiences before arriving in Virginia, to learn more about the significance and sacred meaning of the silver box, and to explore Anglicanism and Catholicism in early Jamestown. Several additional partners assisted in this process, including GE and Cornell University who generously provided access to their CT scanning facilities, expert staff, and imaging collaborator ZEISS Microscopy, and Micro Photonics who scanned and modeled the contents of the silver box. 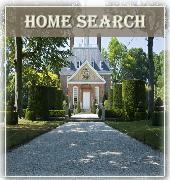 Ancestry.com provided invaluable genealogical research support.